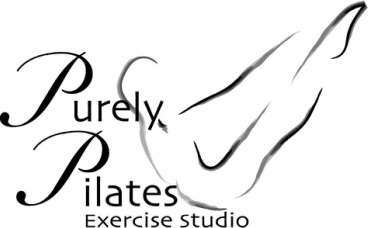 Purely Pilates is a fully equipped Classical Pilates studio teaching private sessions, semi-private sessions, mat classes, springs and pulley classes, reformer and equipment classes. Our clients tailor the classes to their schedules and to their personal preferences. Build flexibility, flatten abdominals, challenge core stability, and become more connected with how your body works. Ask one of our certified instructors to help you to create a workout schedule that suits your needs. 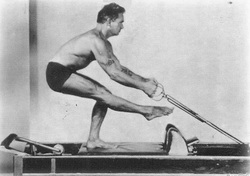 Mat Class Pilates mat work is the core of the Pilates Method of body conditioning. This work is the most challenging, strengthening the core muscles and limbering the spine. Mat classes may use weights, flex bands, and magic circles. Mats and all equipment are provided. This class is limited to 8 people.